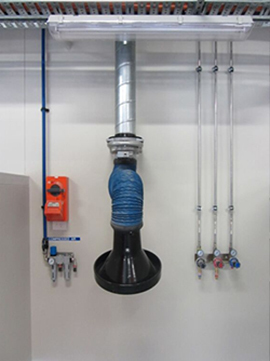 You can get the benefit of the experienced team at Air Energy for supply and/or installation of specialist industrial gas pipework. 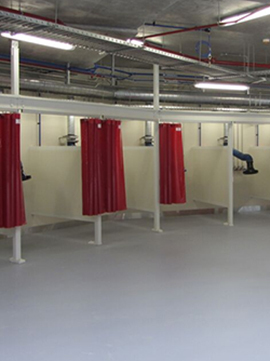 The stainless steel pressfit system is ideal for safe, secure and fast pipework installations. 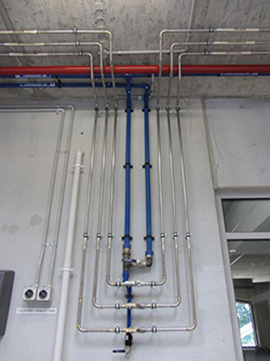 Stainless steel piping to the point of use saves time, manual handling, tangled hoses, lost production time, wasted gas and is much safer for OH&S. Depending on the gas service and function, the various gas regulators have been designed for a variety of outlet characteristics. These include adjustable outlet pressure regulators, adjustable outlet regulators and set outlet pressure regulators. 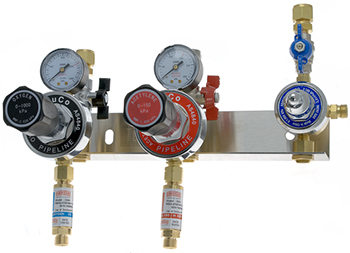 Flowmeters and flow restrictors are also available for fitment to the set pressure regulators.